Damasukasu steelmakers employ the same process used to make traditional Samurai swords to create impressively sharp, durable, and rust resistant knives. 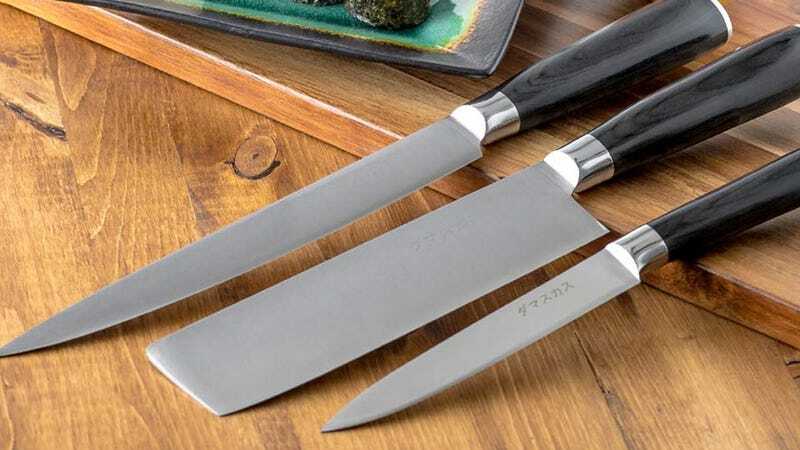 This 3-piece Damasukasu Knife Set includes a a 7-inch, 8.5-inch, and 5-inch utility knife, and while it’s normally $300, but you can get one today for just $60 with code GREENMONDAY20 at checkout. Full details here.